Hayes School has opened phase one of its new classroom and library block, which was part-funded by Bromley Council. Last year, when the school was seeking planning permission for the building, your local Conservative councillors were heavily involved in ensuring that the block’s design and siting was such that residents concerns were balanced with the needs of the school. 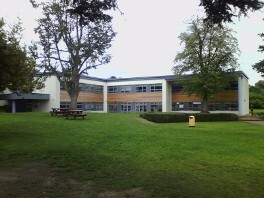 The building, which includes specialist provision for pupils with speech or language difficulties, puts into place a part of the school’s longer term masterplan. A permitted second phase of the build, including a new sports hall, will be built on the western flank of the block when funding becomes available; this will also enable the demolition of temporary wooden hut classrooms elsewhere on the school site.